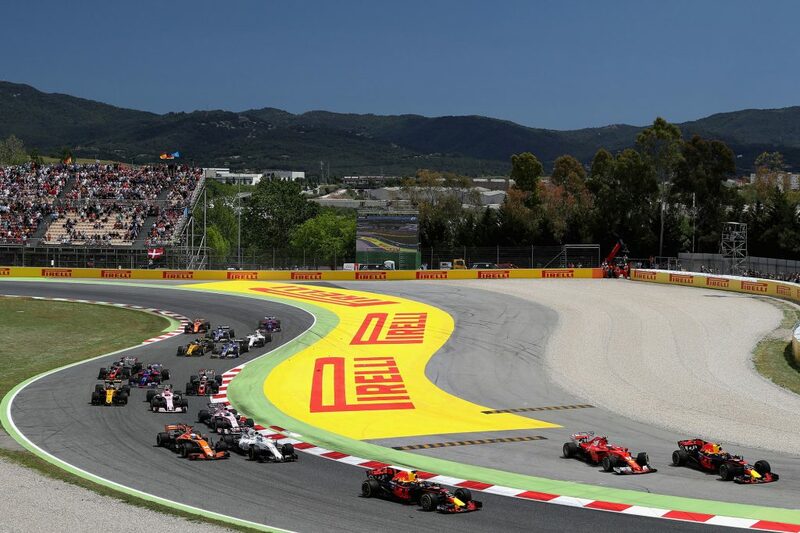 Spanish GP F1 Strategy Report Podcast – our host Michael Lamonato is joined by Craig (Scarbs) Scarborough from ScarbsTech.com. This is what we’ve been waiting for, right? A wheel-to-wheel, strategic and exciting battle between two top drivers and teams for Formula 1 race victory. 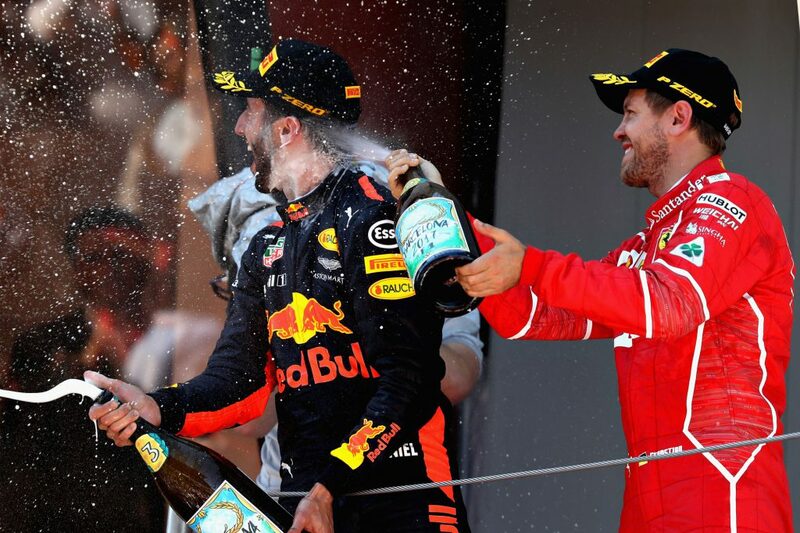 That’s exactly what happened at the 2017 Spanish Grand Prix, with Lewis Hamilton overhauling Sebastian Vettel in a feisty battle to take his 55th career victory and 2nd of the season. It was a race that featured so many fascinating ingredients: From clashes to overtakes, battles and incidents. But strategy also played a crucial role in deciding the result of the Spanish GP. How did Hamilton win it? 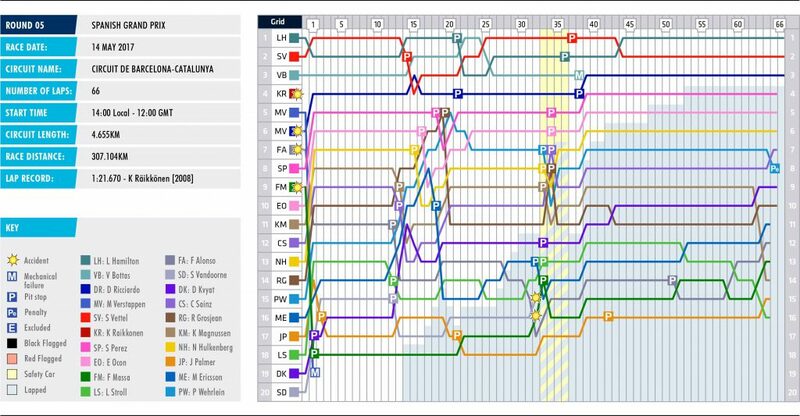 There were a few interesting strategic points that helped Hamilton win the race. Having lost the lead to Vettel at Turn 1, Mercedes opted to go much longer with Hamilton’s first stint, sacrificing the gap to the Ferrari at that stage in order to better set up the race later on. Mercedes tried to maximise the time spent on the softs, at the start and end of the race, which gave him an advantage against Vettel in the final stint. He was of course helped by a perfectly-timed final stop, which took advantage of the virtual safety car. This prompted Ferrari to pit Vettel the lap after the VSC had finished. 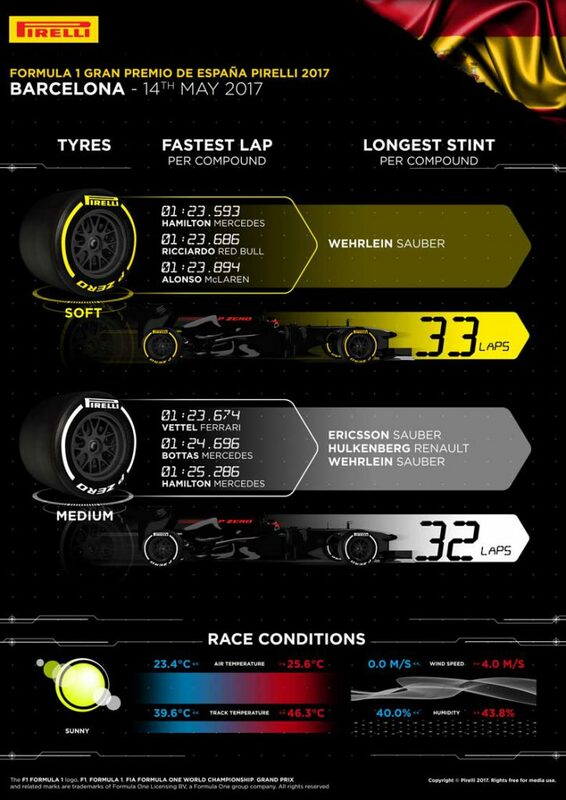 This put Hamilton right into contention and on the soft tyre, he had the performance advantage to eventually take the lead back and storm to victory. Where’d it go wrong for Vettel? Ferrari tried the undercut with Vettel and while this gained him some time, he did lose out behind the slower Daniel Ricciardo initially, coming out in some traffic. Valtteri Bottas then held him up for a few more laps, which brought Hamilton closer after he emerged from his pitstop. The VSC really did seal the deal for Vettel. Having to put under green flag conditions cost him a large chunk of time and he was then put onto the less grippy medium tyre for the final part of the race, when the soft compound could still go the distance and had better performance. 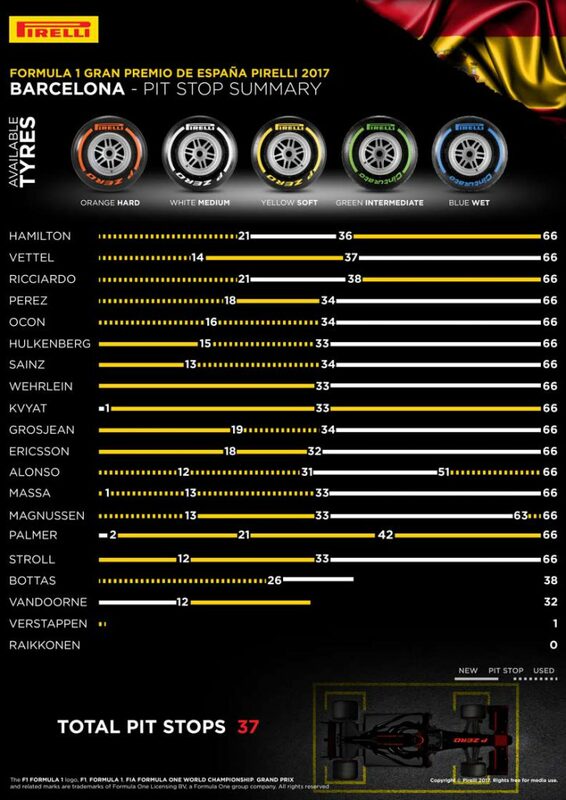 As was evident with Hamilton’s strategy, the soft tyre was by far the preferred race compound and teams tried to spend as little time as possible on the mediums. This was because the soft tyre had better grip and performance while still having impressive durability. Pascal Wehrlein’s Sauber did the most laps on a set of soft tyres with 33, while Nico Hulkenberg, Marcus Ericsson and Wehrlein managed 32 laps on the mediums. The hard tyre only appeared in the early part of FP1 and was not seen again. Felipe Massa called the tyre a “joke” and Esteban Ocon admitted it was “terrible”, with no grip. Pirelli seemed too conservative with their tyre picks for Spain, obviously with limited data when the choices were made. Wehrlein was the only driver to complete a one-stop strategy in the race and because of the durability of the tyres, it worked out really well. The Sauber seems fairly kind on its tyres and the German driver was able to go until lap 33 on his soft tyres, before switching to mediums. The long opening stint helped him rise up the order and, helped by numerous retirements and incidents, he found himself in seventh place at the chequered flag. This was helped by the Barcelona track being tricky to overtake at, with Carlos Sainz Jr. shadowing him for much of the last stint. His one stop was well timed by the virtual safety car but the call was rushed, which meant he pulled into the pits too late to make the bollard which drivers must stay right of. This gave him a five-second time penalty and dropped him to eighth, still Sauber’s first points of 2017. Toro Rosso’s Daniil Kvyat basically did a one-stop. Well, kind of. He technically pitted twice but his first trip to the pits was on lap one, to ditch the mediums he started with. The Russian driver started from the back row anyway, so it was a risk worth taking, and then he was left on the more favoured soft. This helped him make up ground and he eventually finished ninth. Quite a few drivers benefitted from the first lap incidents and various retirements to make up places, leading to rather lonely races. Daniel Ricciardo mirrored Hamilton’s two-stop to finish a distant third. The Force Indias of Sergio Perez and Esteban Ocon went for soft-soft-medium stints and claimed fourth and fifth, ahead of Nico Hulkenberg, who did the same. They benefitted the most from the action-packed opening laps. Felipe Massa lost out on a potential foruth place with his lap one puncture, after contact with Fernando Alonso while trying to avoid the Kimi Raikkonen/Max Verstappen incident. This put both drivers out of sync and made it hard for them to recover – Alonso lost a few places, while Massa fell to the back of the pack. A late puncture for Kevin Magnussen after a clash with Kvyat cost him a possible ninth, which also caused an unscheduled stop.